Back on the chardonnay crusade however, a diversion from the new world to the old world, and to a region that many wine enthusiasts believe is the purest, most pristine expression of the chardonnay grape and par example of terroir – Chablis. Indeed, it almost impossible to mistake Chablis as anything else, such is the redolence of the soil in the wine; an infusion of minerals and chalkiness drawn through vines roots reaching deep into an ancient limestone seabed, and imparting an unmistakable sense of place. Coupled with the breathtaking, lemon-edged acidity of Chablis and an inimitable steely, flintiness, there is a distinct vivaciousness that is unparalleled, that is no other country or region, to my knowledge, has emulated Chablis or made an un-wooded chardonnay of discernible character. And yet to say Chablis is completely unadulterated chardonnay is not quite true, even though most producers do not use oak, or at least fermentations are now largely carried out in stainless-steel, temperature-controlled tanks, there is still a varying degree of technique in the crushing of the grapes and vinification. Also I find Chablis producers seem to get away with a certain amount of slightly whiffy, marmite-yeasty autolysis character from extended less (dead yeast cells) contact and fairly liberal doses of sulphur, somewhat viewed as classic Chablis nuances but would be frowned upon by new world wine judges looking for squeaky clean wines. Then there are some Chablis producers that are actually fermenting in oak. Domaine Raveneau immediately springs to mind, possibly the greatest producer in the entire region, who ferments and matures in large one-to-7 year-old oak feuillettes (barrels). Raveneau aside, I personally find Chablis winemakers that transfer their stainless-steel fermented wine to oak cask for aging are committing an adulterous act that is clearly aimed at seducing the mainstream chardonnay drinker, who is reared on the flavor and nuances of oak and cannot cope with the lean-edgy Chablis style. There is also an inherent mouth-puckering greenness in Chablis at the Village or Petite Chablis level, and that is not to be misinterpreted as derogatory, rather it is a freshly cut green Granny Smith apple, not a ripe Golden Delicious. Indeed, I find it very difficult to impress or convert many chardonnay drinkers to Chablis to the point that I feel I would be best not to mention that it is actually made from the chardonnay grape at all, such is the disconnect between style and characteristics. 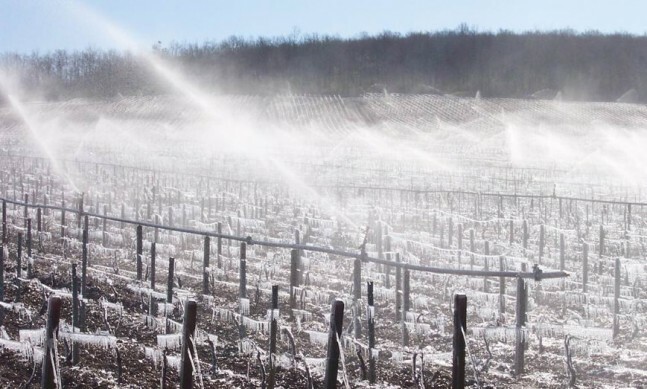 One has to realize this is in the northern extremes of Burgundy with more affinity to Champagne in terms of climate and ripening patterns than the more illustrious southern chardonnay communes of Chassagne & Pulingy Montrachet. Adding to the Chablis marketing disadvantage or even a dilemma that plagued it throughout the 1970s and 80s and still to a degree today, a stigma associated to over-popularity of the style and subsequently over-production in the region to the point of industrialization, accentuated by the entire wine world copying or bastardizing the Chablis name. Practically anything that was white and crisp was adorned Chablis! To which I find myself subconsciously defending and supporting Chablis against this blight of plagiarism and equally, the snobbery leveled against it by white burgundy label drinkers. The genesis of Chablis is of course its unique terroir; more specifically its soil – Kimmeridgian Marl – taking its name from Upper Jurassic period and originating from the English Channel village of Kimmeridge on the Dorset Coast. The chalky limestone substrata of Chablis, called Portland limestone (as it shares the same characteristics in the Dorset Isle of Portland) is made up of the skeletons and shells of trillions of tiny sea animals and oysters forming fossilized marine sediment that extends from France across to England. However it is the Kimmeridgian marl that is most important, rich in calcium-based minerals and oyster fossils (1). The hierarchy of Chablis’ four Appellations in ascending order are Petite Chablis, Chablis Village (or Chablis AC), Premier Cru and Grand Cru. The Grand Crus and more profound Premier crus are found on the right bank of the Serien River enjoying favorable south-eastern to south-western vineyard orientations and generally in the middle of the slope where there is optimum ripeness and soil drainage. When it comes to Chablis Villages it really is a question of knowing your producer or more specifically where their designated Chablis Village vineyards are. This is a mute point when you are dealing with large Negociant made wines as they will source fruit from all over the region. This is where Domaine Billaud-Simon shows its strength with its Chablis Village as it is made exclusively from Domaine owned fruit, grown exclusively in Kimmeridgian soils situated around their Premier and Grand Cru vineyards. Frankly, it shows in the wine with a quality and complexity level far exceeding many Premier Cru wines from other producers and way over-delivers at the price. Domaine Billaud-Simon is unquestionably amongst the top-five Chablis producers. Personally I think it ties for number one between Domaine Raveneau, and then it is purely a question of preference in style. The 2008 Billaud-Simon Chablis Village is my house white at present and I have yet to tire from drinking it. Given the minuscule quantities that are available, I suspect with a help of a few friends, we will drink it all! I have also shortlisted this wine for the Must-Have Wines of the Lunar Year 2010 – Best French White Wine. With such refreshing qualities it goes down very well as an opener and all round compotation. Of course it is sublime with oysters, having recently slurped through several dozen freshly shucked Tasmanian oysters washed down with Billaud-Simon Chablis, there was a palpable renascence around the table of how damn good this ludicrously simple wine and food match is – a squeeze of lemon, grind of the peppermill, down goes the oyster seawater and all, then a gargle of lemon-edged, saline infused Chablis. Heaven! Another recent discovery and perfect match, Chablis with Curry Laksa (Malaysian style – light tangy curry with prawns and oysters), again not only a good flavor match but also similar energies and harmony with the spiciness and tanginess from lemongrass, ginger and Laksa leaf with the exhilarating lemon-edged acidity of the Chablis racy and refreshing – perfectly matched sha ch’i (fast moving energy) and definitely a yang wine in Wine Feng Shui vernacular. Profuse lemon zest abounds from the glass with a distinct saline-sea-salt and chalky minerality, the earthiness giving way to a sweeter perfume of custard, dried banana, oatmeal and a waxy, cream-cheese nuance. As the wine breaths out and inhaling the perfume, it oscillates between freshly cut green apples, squeezed lemon, lemon mint and tarragon to sweeter notes of fresh coconut pith and lemon tart yet with an ever-present steely, flinty, gun-smoke. The palate is juicy and invigorating from start to finish with a rush of lemon and green apple engulfing the mouth, tantalizing, tangy, salty-Manzanilla Sherry-like qualities, lean and racy yet with silky texture, indeed seamless and glides across the palate with an indelible core of lemon, and lingering chalky, gravelly, minerality. Not an ounce of oak and a wasabi-like spiciness on the farewell. The sort of wine one envisages being served up when reaching the Elysian Fields. Although most Chablis Village are made for relatively early drinking this wine will most definitely reward short-term cellaring. About 2 to 3 years would be perfect and probably hold well for up to 5 years or more, assuming you can restrain yourself from drinking it all now! Nothing compares with Chablis Village at this quality level, a pureness and unique expression of the chardonnay grape furthermore, outstanding price quality rapport – S$42 in Singapore. And now that you have discovered Chablis, explore all the Premier and Grand Cru’s and there fascinating reflections of different terroir.